Converted from a Methodist chapel built in the early 1900s, The O2 Institute (formerly the hmv Institute and The Institute) is a beautiful venue with a lot of history. An essential part of live music culture in Birmingham for the past 30 years, the Institute has hosted bands such a Pink Floyd, The Cure and Arctic Monkeys, as well as multiple club nights. With four separate rooms – the 1500 capacity main room, the 600 capacity O2 Institute2, the 300 capacity O2 Institute3, and a separate VIP area, there is something to cater for all. The O2 Institute is a strictly 14+ venue, and under 16s must be accompanied by an adult. The venue has a bar in every room, but outside food and drink may not be brought in. A cloakroom is available at most events for a small charge. The O2 Institute is physically accessible for wheelchair users, but they ask for special needs customers to contact them ahead of time via 0121 643 0428, so that appropriate arrangements can be made. 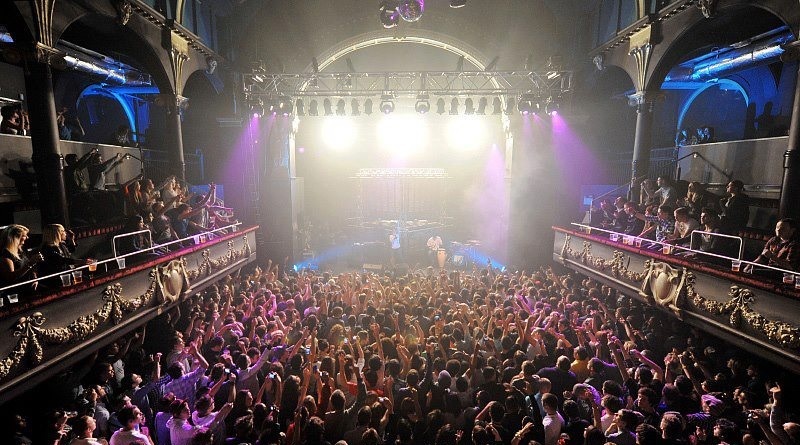 Check out the Institute’s listings via o2institutebirmingham.co.uk. The O2 Institute is situated on Digbeth High Street, right in the heart of the city – once driving in the city, follow directions to Digbeth and the venue will be easy to find. On-street parking is available, or alternatively park in one of the Bullring’s car parks – it is a short 5 minute walk to the venue. Walk down the hill behind St. Martin church, and the venue will be on your left. Travelling by train, New Street Station and Moor Street Station are both a short walk away from the venue. If you are coming from further afield, Birmingham’s Digbeth Coach Station is just across the road from the venue. The venue is also served by a number of bus routes including numbers 6 and 50. For more information on public transport in the West Midlands, please visit networkwestmidlands.com.